LOSING OUR INSECT POPULATION and SPECIES AT ALARMING RATES - MetaModern Magazine, The Voice of Our Digital Meta Modern Culture. What happens. What happens when eco structures disassemble and we begin losing our insect population and species at alarming rates. How does that effect the system? What happens when eco structures disassemble and the eco structure is vegetation and food for humans. In a recently published scientific journal, it has come to absolutely everyone’s attention that there is a great loss of insects. So the answer to our biodiversity becomes, losing our insect population and species at alarming rates; that’s no answer, that’s new problem. 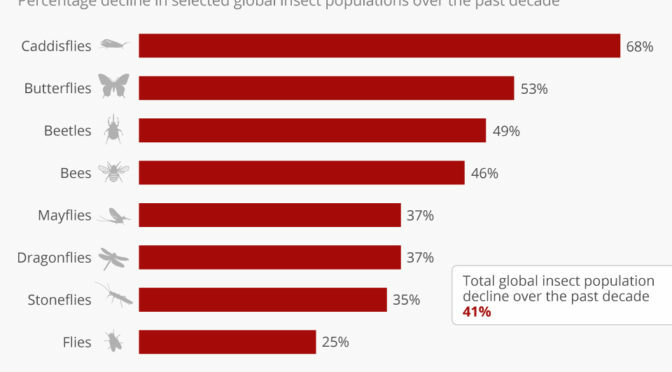 Some of the insects’ populations are plummeting 50%, and some in that percentage are vital; such as, butterflies and bees and the dung beetle. Although, all insects are productive, some have been found to be more so. Because truly, we do not know what will happen when eco structures disassemble. When the butterflies no longer fly to pollenate, when the bees no longer pollenate nor produce honey, to what will man turn? Certainly one can fly a drone bee to pollenate, but that bee cannot make honey. Certainly one can fly a butterfly drone for pollination and possibly predator seek-and-destroy, but nothing can mimic their beauty and the joy it delivers. 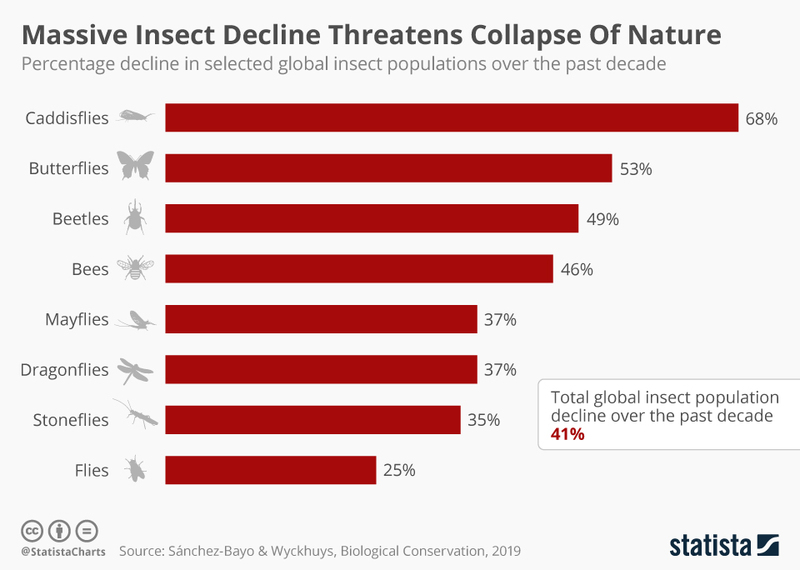 The global world’s butterfly and insect population has been declining since the Industrial age, it is only now that the populations and the biodiversity have been so greatly affected that we are taking notice and expecting that necessary measure will follow. What happened to the 60’s and 70’s when air pollution was all the rage and that poor Indian cried in polluted rivers? Where is that group now? Why aren’t more people banning the over-worked farming industry supplying more hay to the unprecedented cow industry. Why aren’t more people paying more attention to the pesticides that are still being used? Pesticides were part of the pollution, so where did the protesters go? Oddly enough, it is that very generation who are now our elected officials. It is time we pay attention, do something. Grow your own butterfly garden, encourage honey bees, sign a petition, start a Federally Funded farm…but, it is time to do something; for how do we really know what happens when eco structures disassemble.